The Internal Revenue Service could potentially collect hundreds of millions of dollars by making online services available to more people, according to Eugene Dodaro, Comptroller General of the Government Accountability Office. The Federal government’s funding hinges on taxes, which are collected through IRS. In fiscal year 2016, IRS collected about $3.3 trillion in taxes. GAO’s seventh annual report on “Opportunities to Reduce Fragmentation, Overlap, and Duplication and Achieve Other Financial Benefits,” released April 26, suggests that if IRS addressed some of the watchdog agency’s recommendations, its revenue would increase considerably. “We think they ought to collect and use better information to determine the best way to get bang for the buck so they can use the resources Congress gives them in a better way,” Dodaro said. 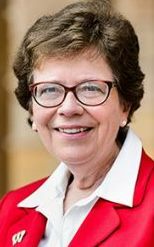 Consolidating requirements, in addition to resources, could also save time and money, according to Rebecca Blank, Chancellor of the University of Wisconsin, Madison. Disparate requirements among Federal agencies hamstrings university research, Blank said. She stated that university scientists with Federal funding spend 42 percent of their day, or four hours, on administrative tasks to get their work approved. These responsibilities can hurt research projects that have the potential to affect a lot of people. For example, a team of University of Wisconsin researchers were studying medical tissue samples to learn more about Alzheimer’s disease. Blank said that the researchers ultimately gave up because they had undergone a year’s worth of approval processes to no avail. Even though their work could help millions of people, she said the tangle of bureaucratic processes made the scientists decide the project was not worth their time. Blank said large agencies that fund research projects, such as the National Science Foundation, the National Institutes of Health, and the Department of Agriculture, often put up roadblocks to such projects with all of their different requirements. Moreover, she said the Offices of Inspector General have requirements that differ from the agencies in which they operate. Government agencies at the state level, in addition to the Federal space, also hamper university work that relates to public safety, according to Blank. Sexual assault is a major issue on college campuses throughout the country, but Blank revealed that reporting standards can impede investigations. Blank explained that police offers at the University of Wisconsin need to report sexual assault crimes based on three sets of standards, namely those outlined by the FBI’s Uniform Crime Reporting Program, the State of Wisconsin, and the Clery Act of 1990. Sen. Claire McCaskill, D-Mo., said that sexual assault investigations would move faster if police officers reported crimes based on just one set of standards.